Ready Steady Go, originally uploaded by [Zakkaliciousness]. I love this moment. The light changes - or the cyclist merely senses from experience that the light is about to change - and the body tenses, preparing to launch the bike forward. Leaning forward, ready to push the bike a bit with the foot before sliding up onto the saddle and pedalling. Check the traffic light... it's red but the yellow is lit, too... green follows shortly. And the cyclist is prepared to ride. I agree... it's an exciting moment. A moment of expectation where instinct plays an enormous role. 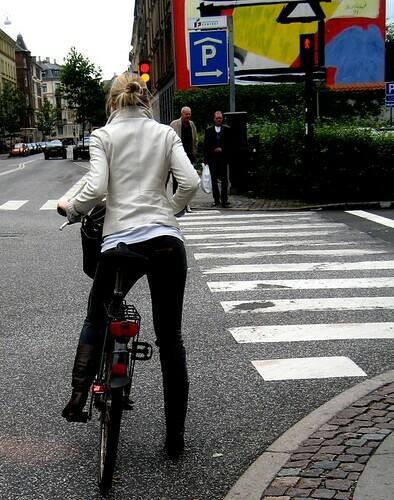 i love this pic, nice city, nice bike and nice girl everything is perfect!! !